A new optical modem, capable of sending high-definition quality video significantly faster than standard radio frequency systems, is being developed for NASA’s Orion spacecraft. The hardware, offered by LGS Innovations, is expected to deliver near real time footage from the Moon and other space destinations. The Herndon, Virginia-based company LGS Innovations, is currently developing the necessary hardware to make such high-speed communications available for the upcoming Exploration Mission-2 (EM-2). 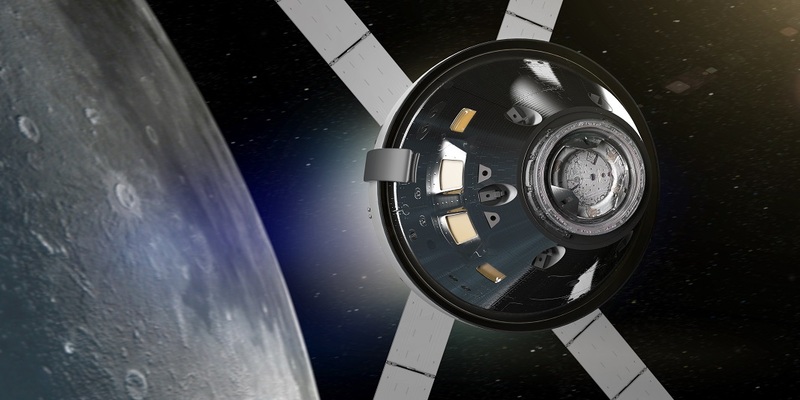 The mission, scheduled for 2023, is planned to be the first crewed flight of NASA’s Orion spacecraft, during which astronauts will make a fly-by of the Moon. LGS Innovations will provide an optical modem that will enable broadband data communications to and from the Orion vehicle. “Future exploration missions, both manned and unmanned, will require high bandwidth communication links to ground stations on Earth to support advanced scientific instruments, high definition video, and high-resolution imagery. This is one of three NASA’s optical communications projects that we were selected for to help the space agency meet the ever-increasing requirements for more bandwidth and faster connections,” Braun said. LGS Innovations is expected to deliver the modem in late 2019, in accordance with EM-2 mission schedule. It will be the third laser payload the company has developed for NASA as the firm is also involved in two other programs: the Deep-Space Optical Communication (DSOC) program and the Integrated LCRD LEO User Modem and Amplifier-Terminal (ILLUMA-T). “This project cements LGS Innovations’ relationship with NASA as a provider of modems for lasercom-in-space systems,” Braun concluded. 1. The Signout button below this blank is cutting your comments in half. 2. The speed of light still applies, so this article needs an edit. There was an obvious mistake in the article and the story was corrected.